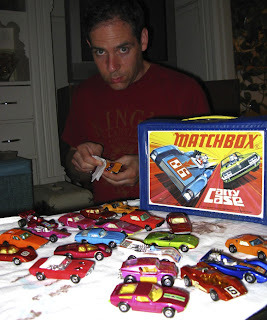 David announced tonight that his rekindled interest obsession in Matchbox is his way of avoiding the inevitable. Cheaper than buying a convertible, David's mission is to collect every Matchbox and Hot Wheels he owned as a child as a remedy for his mid life crisis. And with the magic of the internet, he is now closer to fulfilling this dream. 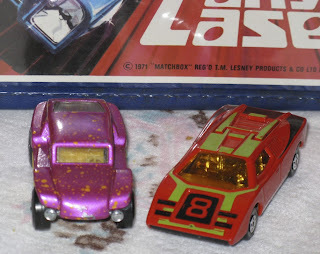 Today arrived a box set consisting of pristine cars from the late 60s/early 70s. 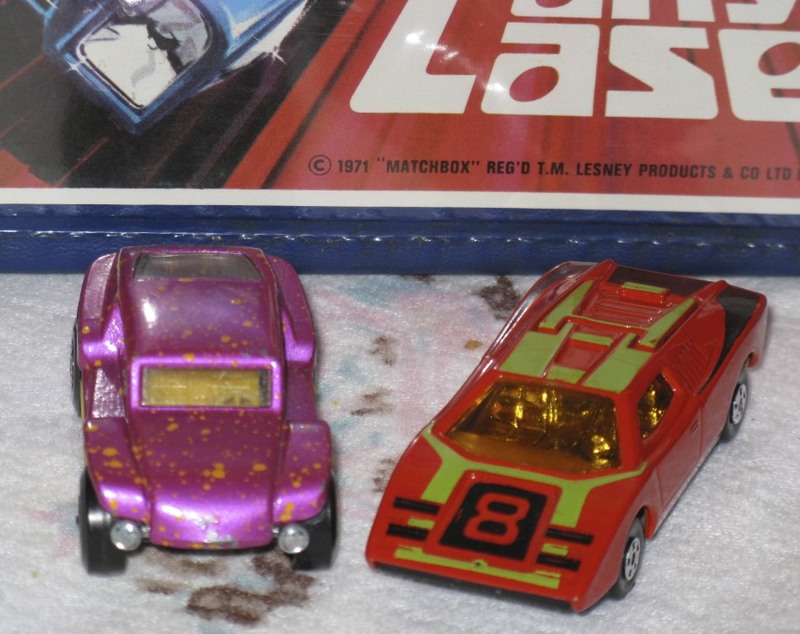 From the Lamborghini Countach to the Beach Buggy I was surprised to learn that these colorful toys were manufactured in England by Lesney Products. (Ok, my sheltered childhood was filled with dolls by Mattel so this was new to me.) Of the twenty four cars inside his new carry case only two matched the ones lost long ago. Besides, he has already warned me that his next crisis will be to collect the original set of Star Trek action figures and Enterprise playset. Apparently, he is saving the biggest challenge for last. Ahhhh, boys will be boys.